Throwing Our Mailman A Bone. As part of our research into the US postal system and brainstorming for this column (side note: Can you believe we've already been doing this for 12 weeks? ), we came across the website of some fellow faux scientists who conducted some similar mailing “experiments” in San Francisco sometime around the year 2000. In perusing their list, we've run across a few items we've both mailed, albeit with some varying results. For instance, their soup can never showed up, while ours hit our mailbox in a mere three days. And while we were only brave enough to risk $5 of our own cash for the cause, our friends in San Francisco put up a 20 spot — although ours did come three days faster than theirs. And, whereas we mailed some clippings of our hair, our San Francisco brethren sent themselves a baby tooth. This week's mailing, coincidentally enough, was similar to another that the San Francisco crew had attempted. 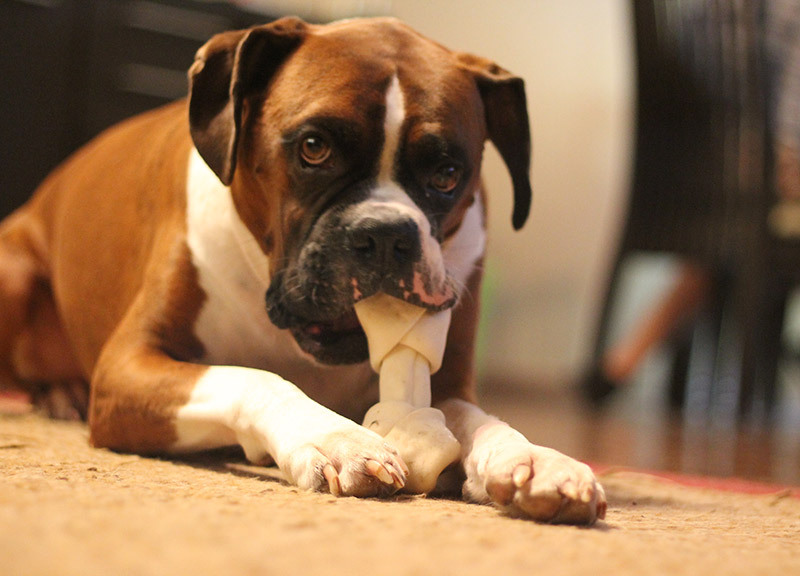 Where they tried mailing a deer tibia and were refused on the grounds that it was not packaged, we put a bone-shaped rawhide dog chew toy in the mail. 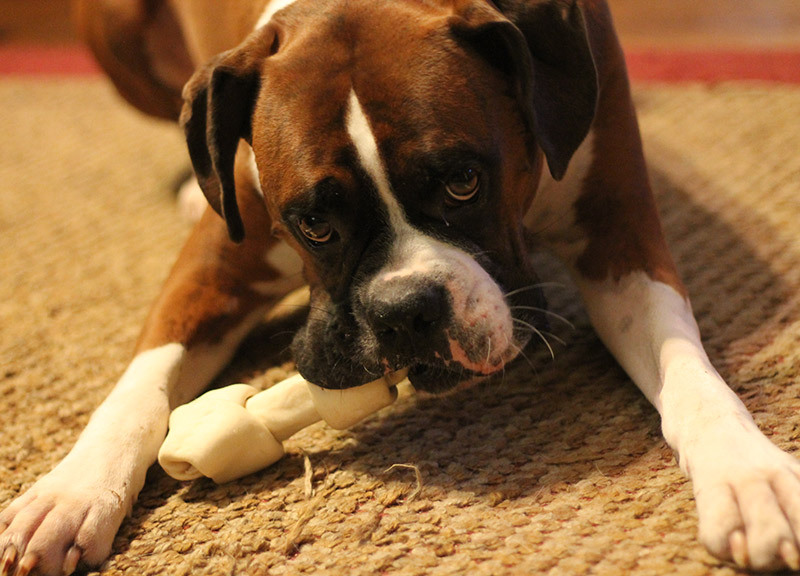 OK, so we're not arguing that a dog toy is in any way as potentially gross as a deer tibia, but, come on, they're both made of animal parts, and the chew toy was molded into a bone shape. 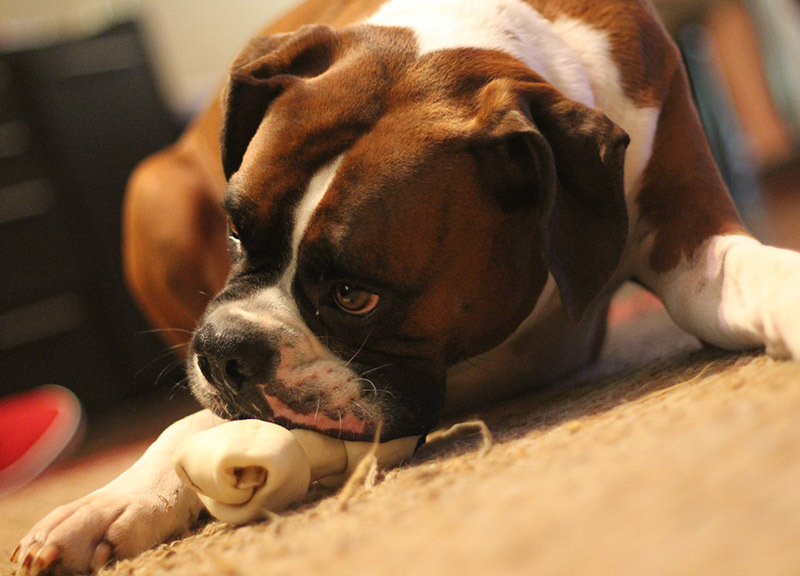 And, hey, it worked: Our crudely-wrapped bone made it back to us in just two days. No, it wasn't the craziest item we've mailed (not by a long shot). But this week's test did give us an excuse to give our new office assistant Bruce a nice welcome-aboard gift. 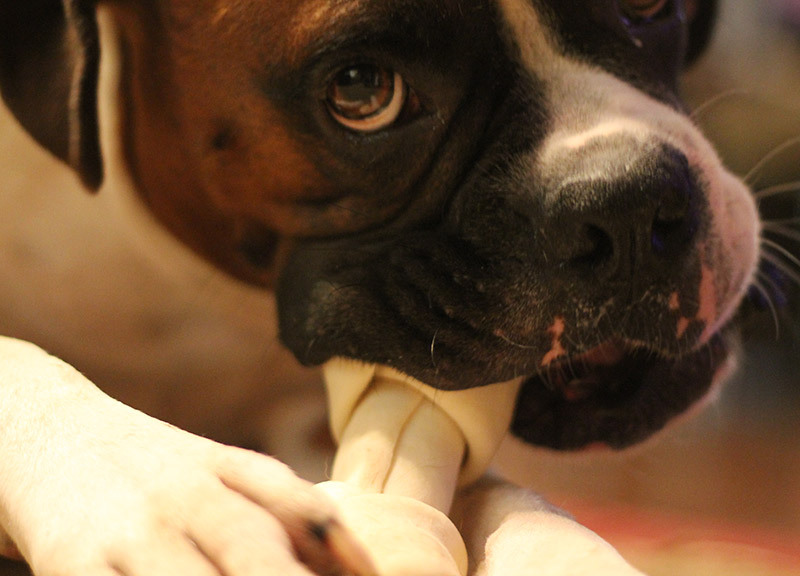 Item: Rawhide dog chew toy. Method: We tore off a strip of plain white computer paper, addressed and stamped it, then affixed it to the bone with packing tape. Condition Upon Arrival: Much like the last several mailings that have come back to us, the bone showed no outward signs of ever passing through the postal system. Running “Can You Mail It?” Success Rate: 91.67 percent.